8.4” Color LCD - Contrast and backlight enhanced with anti -glare coating provides superior image quality in all lighting conditions. Weatherproof - Environmentally sealed housing allows for exterior mounting applications. 500 nit High-Bright Performance - Provides a sunlight viewable display with adjustable brightness. 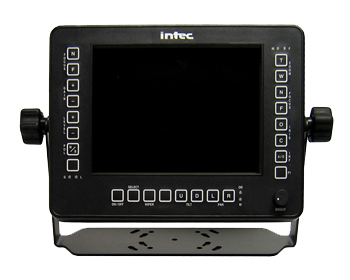 Integrated System Control - Integrates all Video Sentinel System control functions of both Color Zoom and Thermal Imaging Cameras and Remote camera Mount (Pan / Tilt). Single Weatherproof Connection - All function and power signals are made through a single connector. Universal Mounting Bracket - Adapt to any vertical or horizontal mounting surface. Wireless Compatible - Universal to both hard wired and wireless system configurations.